Originally published by www.catchcolorjustice.com on September 17, 2012. Reblogged with permission. Installment three of the HOPE61 spotlights, sponsored by our Facebook and Twitter pages. You can still read #1 and #2. God was hinting for years, but on November 1st, 2011, He began speaking louder. Tom Overton lost his job. Soon after, he went on an OMS Men for Missions trip to Haiti. While there, God continued speaking through conversations and times of prayer. It was evident that Tom, his wife Tonya, and their children Ellie, Holly, and Charlie, were being called by God to deliberately work in full-time missions with OMS; more specifically, as the new HOPE61 director – beginning today. The Overton family began fundraising in February 2012 and they are currently at 75%. For part of the week Tom will continue deputation in order to fill that final gap. 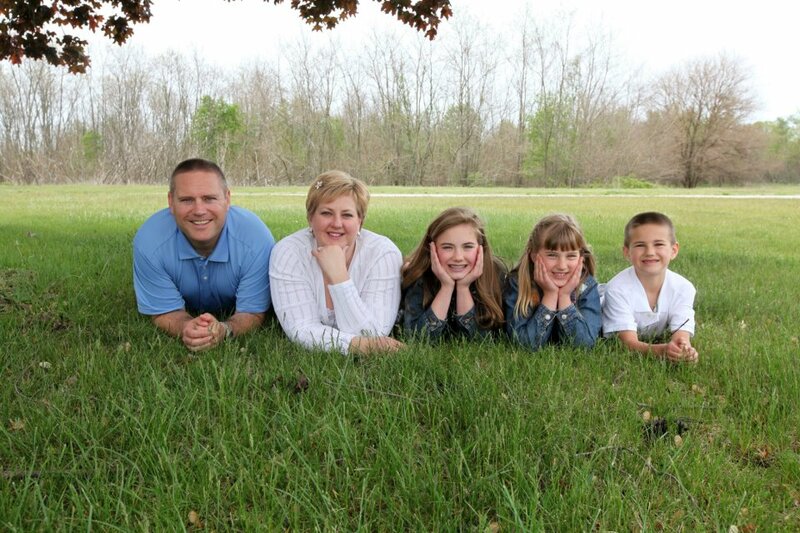 As director of HOPE61, Tom and his family are true answers to prayer. Joyce Oden, founder and previous director, had been looking for a leader who would allow her to hand over her responsibilities. Joyce will continue to be a mentor, a part of what happens at HOPE61, but able to spend much more time with her family after many years of missionary service. (Editor’s note: You can look for a H61 spotlight on Joyce in the coming weeks.) Since being accepted with HOPE61, Tom has been trained and mentored by Joyce. He plans to continue learning from her during the transition in roles. Tom has also spent time learning about trafficking and its many elements, particularly the issue of demand and how to stop it. One thing Tom brings to the director role of HOPE61 is a biblical perspective of justice, believing that “we’re all created individually & uniquely by God. We have different but equal purpose in this world. Our call is treat each other with that in mind. No one is better or worse…any situation that creates a sense of inequality is injustice.” As HOPE61 director, Tom also continues to build on a foundational goal laid at the ministry’s founding. Traffickers, perpetrators, and victims of human trafficking are all “in desperate need of the hope that comes from the gospel of Jesus Christ.” Tom reiterated that HOPE61 is more than just a social ministry; the first goal is always to see people freed from spiritual captivity. Unless that is the motivation for any steps taken, then HOPE61 cannot fulfill its purpose. This is what Tom believes makes HOPE61 a unique voice among anti-human trafficking groups. HOPE61 wants to see victims restored not only to physical wholeness, but to a right relationship with their Creator. As the Overton family embark on their missionary journey, Tom looks forward to increasing the scope of HOPE61 across the world. He expects to meet with directors of other anti-human trafficking groups and begin further brainstorming and partnering. Tom also hopes to develop a regional network of representatives for HOPE61 to share the message, and recruitment, across the US. How can you share justice, motivated by the salvation of Jesus Christ?